This is CME on ReachMD! This activity Rheumatoid Arthritis: Counseling Women Who Are Trying to Conceive is provided in partnership with Prova Education. 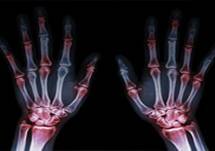 Rheumatoid arthritis, or RA, affects women 3 times more frequently than men, often in their childbearing years. Not only does pregnancy affect their disease course, healthcare needs and treatment options, but it also complicates the family planning decisions they are making. This makes the need for better support systems all the more critical for these patients. From the ReachMD studios in Fort Washington, Pennsylvania, this is CME on ReachMD, and I’m Dr. Matt Birnholz. Joining me is Dr. Robin Dore, Clinical Professor of Medicine at UCLA’s David Geffen School of Medicine. Today, we’ll be discussing how we, as clinicians, can empower women with RA who often struggle with decisions related to pregnancy, such as family planning, lactation and parenting. Dr. Dore, welcome to the program. It’s great to have you. 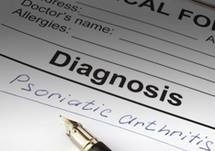 So, Dr. Dore, when we think of the typical patient with RA, we often envision a patient in their late 40s, say, or even older, but how prevalent is RA in women of childbearing age? Well, what we’re seeing is that certainly RA has now been expanding, so we’re not only seeing it in younger women but in women at the end of their childbearing years as well. And, in fact, from between the ages of 18 and 34, there’s 8.7 per 100,000 patients, and when we look at that age 35 to 44, it’s actually 36.2, so we’re seeing many women in their childbearing years with rheumatoid arthritis. And the tendency, of course, now is for women, actually, to delay having children overall, and if you look at the data, what we see is that women with rheumatoid arthritis are frequently delaying trying to get pregnant to try to get their rheumatoid arthritis under control. Interesting. And let me ask you then, based on your experiences with female RA patients, what would you say are the biggest family planning challenges these patients face? Well, one is actually them talking to me about it. What we see is that over 50% of the pregnancies the patient doesn’t talk to us. They just do it on their own. And I would certainly like to have this discussion ahead of time with them talking about the optimal times to try to get pregnant and trying to optimize their medications while they are trying to get pregnant, but I think at times… I mean, I talk to women after they are pregnant and we haven’t discussed it. They tell me that they are afraid I’ll tell them not to get pregnant or I’ll tell them—they’ll say that I’m going to tell them that they have to stop their medication, so they feel by not talking to me about it and just going ahead and getting pregnant, they don’t have to have those discussions that they don’t want to hear. Yes, and so clearly, the first and, perhaps, biggest barrier is that your patients aren’t coming to you; they’re not talking to you. But for those that are, how do you counsel your patients during this process? Well, I tell them that the data is very clear, that if their rheumatoid arthritis is under good control, that it’s going to be easier for them to get pregnant. There is recent data that suggests that if they’re taking steroids—and taking out the fact that steroids are used for when patients have active disease—just taking steroids themselves reduced the risk of conceiving. And recently, we’ve seen that NSAIDs, not steroidal anti-inflammatory drugs, do the same. We’ve always known for many decades that NSAIDs in the later part of pregnancy prevent closure of the ductus arteriosus. And now we’re seeing that 2 commonly used medicines in treating rheumatoid arthritis, steroids and NSAIDs, can actually interfere with a woman becoming pregnant, so I want to talk to them about that fact at the very beginning before they start getting pregnant to see if we can get them off steroids and if we can get them off the NSAIDs as well. Right. And I’m definitely going to want to cover some of the pharmaceutical management considerations and the nuances for these patients in more detail, but first let me consider the interprofessional team here as part of both counseling and management. What other professions and specialties are central to the care of patients with RA as they go through family planning? I always talk to the patient about discussing pregnancy ahead of time—if that possibility exists, if they’re not pregnant when we have this discussion—to talk to their OB, and if their OB doesn’t feel comfortable in dealing with a pregnancy when the patient is on RA medications or has RA, then I will ask that they see a specialist in maternal-fetal medicine or a high-risk OB. In many areas of the country, maternal-fetal medicine specialists are only at academic centers, and in that case it’s usually the high-risk OB that I have the person dealing with. And if the person is on a medication and becomes pregnant, then I’m going to send them to a geneticist so they can discuss the likelihood of there being a problem related to the medication and the pregnancy outcome. And of course, Dr. Dore, I don’t want to forget one of the most crucial members of the team for the patient, and that is the patient’s partner. What can you tell us about the role of this person for the management of RA? What we see is that the partner, of course, is very important in family planning, and many of the partners are actually very anxious as to what will happen to the woman when she is pregnant. Will it flare the disease? After she has the baby, will she be able to care for the baby, or will her RA make it so that it’s difficult? It turns out that if the man in the relationship is on the medication such as methotrexate or leflunomide, then the man actually has to stop those medications ahead of time before he attempts to impregnate his wife. It’s 2 people in this relationship that end up causing that pregnancy, and both of them have to feel very comfortable with the fact that if the woman becomes pregnant, that it’s safe, that her partner hasn’t been recently on methotrexate or leflunomide, but also then that the partner realizes that over the period of time of the pregnancy, that we have medications that we can safely give during the pregnancy—and again, encouraging both of them that we should be able to make it so that the woman can care for the child after delivery. So, Dr. Dore, earlier we talked about some of these challenges that patients face from communications to pharmaceutical management changes. Why don’t we then focus on these downstream impacts to the management in particular? Are there specific agents for RA that are safe for use during pregnancy? Well, you know, safe is always a relative term, because we know that during pregnancy that sometimes there are abnormalities that we can’t really blame on anything but chance, but when we look at data for RA, most of it is taken from the lupus literature where azathioprine and hydroxychloroquine have been safely given to a lupus patient because they have active disease, and so if we have a patient who’s thinking of getting pregnant or is pregnant, azathioprine and hydroxychloroquine are certainly 2 of those medications. There is also observational data with sulfasalazine in the rheumatoid patients with pregnancy that suggests that there is no increased risk of a detrimental fetal outcome with the sulfasalazine. Despite what I said about the glucocorticoids and steroids, if a patient is pregnant and their disease flares, we will usually use very small doses of steroids, trying to stay less than 15 mg per day, which seems to have a less of an impact at the time of delivery with regards to the baby, but overall, women with rheumatoid arthritis are more likely to have a low birth weight infant, and the steroids can actually increase that risk, so we try to reduce the dose of that as well. And then, finally, TNF inhibitor certolizumab has recently been shown to be safe to be taken when the woman is trying to conceive and then during pregnancy. And, Dr. Dore, I want to ask this in particular, because there is a common underlying sentiment in the medical community that patients who are pregnant with RA experience a remission of their symptoms. Is that actually true, or does the evidence say otherwise? We used to think that that was true, but now what we’re seeing is that about 50% of the patients have low disease activity during the pregnancy, but up to 20% of patients have moderate to severe disease activity, and that’s why it’s so important for the rheumatologists to talk to their patients about medications during pregnancy, that in case the patient’s disease doesn’t go into remission, that then we have a plan about how to deal with that if their disease flares. Thanks, Dr. Dore. And I also want to consider the postpartum period for patients who want to breastfeed. Should we avoid prescribing certain agents then? In the postpartum period, what we see is that definitely the disease can flare postpartum, and so I’ll talk to the patients before they deliver that that is certainly a possibility. If that happens, then I will be talking to the woman about, again, going on low doses of steroids, but if she happens to be on something like azathioprine, hydroxychloroquine or certolizumab, then I will just continue that through the pregnancy and during the postpartum period even if she’s nursing. With regard to NSAIDs, sometimes those can get into the breast milk and cause problems with the fetus and platelet counts, and so we try not to use the NSAIDs during the lactation period. And, Dr. Dore, before we wrap up our discussion, because we only have a couple more minutes, is there anything else that you’d like to share with our audience on managing RA for this special patient population? It’s very important that the woman talk to the rheumatologist and her OB before attempting pregnancy so that the medications can be optimized, and if the OB doesn’t feel comfortable taking care of the patient, to meet with the high-risk OB. If there happens to be a maternal-fetal medicine specialist in the area, again to see that person prior to becoming pregnant and then following up with the high-risk OB or maternal-fetal medicine as well as the rheumatologist. Postpartum it’s very important that the pediatrician understands these medications in lactation, and that’s another very important point. And many pediatricians, I’ve been sort of walking them through what medications the mother can and cannot take while she’s nursing. Well, clearly there’s a lot to keep in mind when treating RA in women of childbearing age, not the least among them having a broader team, thinking of the OB/GYN, thinking of the geneticist, thinking of the pediatrician. I’d very much like to thank Dr. Robin Dore for walking us through those considerations. Dr. Dore, it was great having you on the program. Family planning concerns, patient communication, and the interprofessional team - learn about the many factors that affect RA treatment in women. Rheumatoid arthritis, or RA, affects women three times more frequently than men, often in their childbearing years. Not only does pregnancy affect their disease course, healthcare needs and treatment options, but it also complicates the family planning decisions they are making. This makes the need for better support systems all the more critical for these patients. Dr. Matt Birnholz is joined by Dr. Robin Dore, Clinical Professor of Medicine at David Geffen School of Medicine at UCLA. Dr. Dore will provide tips on how she counsels her RA patients during their family planning journey. Robin Dore, MD, has received grants/research support from Eli Lilly and Company and has served as a consultant for Amgen, Inc., Abbvie, Celgene, and Eli Lilly and Company. She has also received honoraria from Amgen, Inc., AbbVie, and Celgene.